Cushion Source served as the major corporate sponsor at the Gold Coast Affair event benefitting the North Shore Animal League (NSAL) in Huntington, NY on July 8, 2015. Read More. Cushion Source has been selected as a Sunbrella "Where to Buy" location due to their status as a nationally preferred Sunbrella vendor and their longstanding relationship with the upscale fabric brand. Read More. Cushion Source has been awarded "Best of Houzz" for Customer Satisfaction by Houzz. Cushion Source was chosen by the more than 25 million users that comprise the Houzz community. Read More. Cushion Source saw a boost in sales for the seventh year in a row on Cyber Monday. Cushion Source revenue increased by 68% over 2013 Cyber Monday sales, far exceeding the 8.1% national average. Read More. Cushion Source continued its commitment to corporate social responsibility by donating 10% of proceeds from recent Patriot Day and Breast Cancer Awareness Month promotions to the Wounded Warrior Project and the American Breast Cancer Foundation, respectively. Read More. Cushion Source has been awarded "Best of Houzz" by Houzz. The upscale home décor manufacturer was chosen by the more than 16 million monthly users that comprise the Houzz community. Read More. On Cyber Monday, the biggest online shopping day of the year, Cushion Source increased its revenue 34.3 percent over 2012, much higher than the nationwide online sales increase of 16 percent that was reported by Adobe Systems. Read More. Online custom decor retailer Cushion Source experienced an incredible jump in sales on Black Friday. The online store crushed its previous years' sales with a notable 134 percent increase in revenue over last year's record for this sales event. Read More. The latest issue of Victoria magazine spotlights First Frost designer holiday stockings from Cushion Source, a premier provider of custom home goods since 2004. 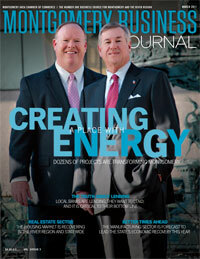 Victoria magazine reaches 518,000 households in both the United States and Canada. Read More. On the biggest online shopping day of the year, Cushion Source increased its Cyber Monday revenue 82.6 percent over 2011, far higher than the nationwide online sales increase of 30 percent that was reported Tuesday by IBM. During the four-day weekend, Cushion Source increased its sales by 167 percent over last year. Read More. Online custom decor retailer Cushion Source experienced an unprecedented spike in sales on Black Friday. The online store shattered previous years' sales, with an incredible 262 percent increase in revenue over last year's record for the 24-hour period. Read More. The latest issue of Florida Design magazine spotlights Cushion Source, a long-trusted resource for custom cushions, pillows, drapery and umbrellas. Florida Design reaches nearly 200,000 homeowners and interior designers both in Florida and nationwide.Read More. Cushion Source has made shopping easier for the growing number of customers who browse the web with their smartphones or tablets. CushionSource.com now automatically resizes the shopping experience to fit the screen size of the device being used.Read More. With the recent online launch of Cushion Source Canada, a wholly-owned subsidiary of US-based Online Commerce Group, LLC (OCG), a successful transition into the Canadian marketplace is affirmed with a custom cushion and pillow manufacturing facility in Toronto that will service the needs of resident consumers.Read More. With the latest technological innovation from Commercial Site Furnishings, a wholly-owned subsidiary of Online Commerce Group, LLC (OCG), it's now easier than ever to visualize your park, playground or school's future seating and dining areas before you order commercial furniture.Read More. MirrorsDirect.net, a wholly-owned subsidiary of Online Commerce Group, LLC, (OCG) proudly announces the feature of merchandising partner Hitchcock-Butterfield on ABC World News. In the series Made in America, Diane Sawyer's team highlights Hitchcock-Butterfield's mirrors in a home makeover.Read More. In the May/June issue of Cooking with Paula Deen magazine, Online Commerce Group, LLC, (OCG) a website development company and e-tailer of outdoor living products, performs a backyard makeover and creates a functional patio space for entertaining. Read More. Online Commerce Group, LLC (OCG), a leading niche online retailer and website development company, announces the addition of 29 new fabrics to the High Point Collection, a Sunbrella Decorative Fabric. Read More. Online Commerce Group, LLC (OCG), recently received a spotlight in the "Members on the Move" section of the Montgomery Business Journal. Read More. Online Commerce Group, LLC (OCG), a leading niche online retailer of upscale outdoor and indoor living space products, announces its release of Mossy Oak Brand Camo camouflage fabric through CushionSource.com, an OCG owned Web site. Read More. Online Commerce Group, LLC (OCG), announces it expects significant growth in 2011 in both workforce and partnerships. Gerry Monroe, president and co-founder of OCG, predicts the company to grow at least 20 percent in its workforce, especially in departments focused on search engine optimization and search engine marketing.Read More. Online Commerce Group, LLC (OCG) announces revenues escalated more than 97 percent compared to the 2009 holiday, with order flow growth of 113 percent. This follows two previous years of Cyber Monday success, as 2008 and 2009 saw more than 65 percent gains each year. Read More. Online Commerce Group, LLC (OCG), a business specializing in e-commerce is pleased to announce results for Cyber Monday retail sales. OCG's revenues escalated more than 97 percent compared to the 2009 holiday, with order flow growth of 113 percent. This follows two previous years of Cyber Monday success, as 2008 and 2009 saw more than 65 percent gains each year. Read More. 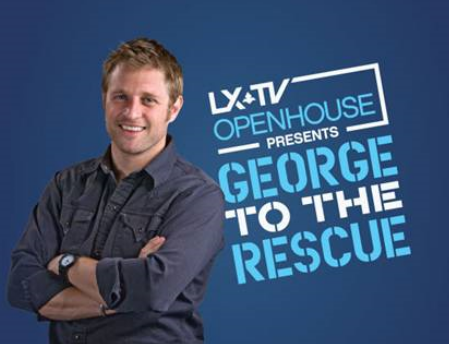 "George to the Rescue," a nationally-syndicated design show, recently enlisted Cushion Source (www.CushionSource.com), a web-based retail site which offers customers convenient and easy online options to order custom-sized cushions, throw pillows, drapes and more in over 1,000 fabric choices, to provide bench cushions for a Brewster, N.Y., family in need of help with updating their kitchen. Read More. Online Commerce Group, LLC (OCG), has partnered with fabric manufacturers The Robert Allen Group and Shuford Mills, LLC, to offer their fabrics, @Home Collection and Outdura. These fabrics are now available on the Cushion Source website. 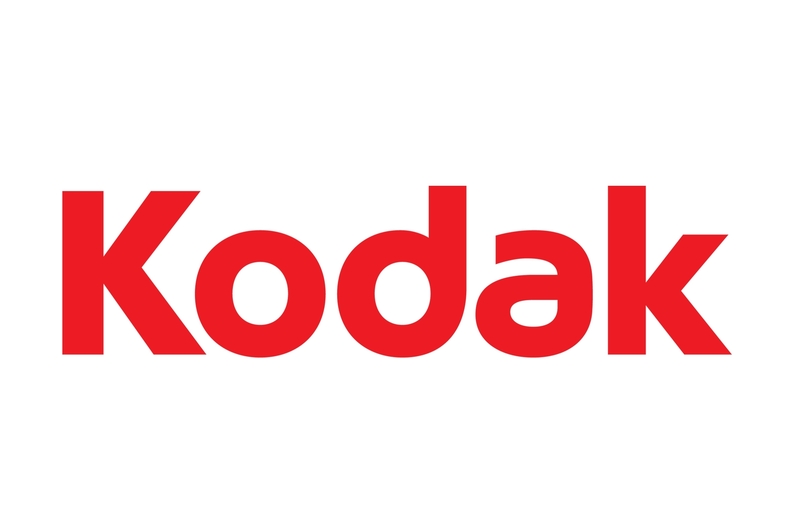 Online Commerce Group, LLC (OCG), a leading niche online retailer and website development company, has partnered with Kodak and recently released KodakOutdoors.com, a niche retail website designed specifically for hunting and fishing enthusiasts shopping for digital video cameras and accessories. DesignACushion.com completes a comprehensive website makeover in advance of the Hospitality Design Boutique Exposition & Conference scheduled for Sept. 14-15, in Miami. 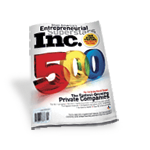 Inc. magazine names Online Commerce Group, LLC (OCG) as one of the fastest growing private businesses in America for the third year in a row! Online Commerce Group, LLC (OCG), a leading niche online retailer of upscale outdoor and indoor living space products for residential and commercial markets, recently released a 30-second commercial featuring popular television show host Pat Simpson. CNN, features CushionSource.com and Online Commerce Group in a news story entitled "Keeping Young Workers at Home" which aired throughout the day on television and posted on their website. "Print runs for umbrellasource.com can be as small as one,, although a restaurant job typically includes six to 12 umbrellas῜with some customers buying up to 1000 per year. Turnaround can be as fast as five days.".. In a cover story how-to article about building outdoor chairs, Cushion Source was listed in the Buying Guide as a resource for "custom cushions in any size." "Now all I needed was a cushion. After a quick search, I found Cushion Source located in Montgomery, Ala. They sell custom-made cushions..."